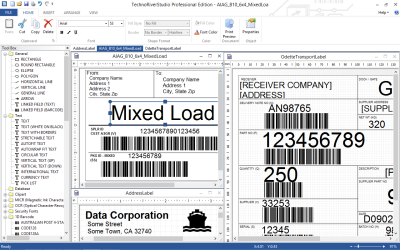 barcode software,barcode, bar code, label, label maker, technoriverstudio, UCC/EAN, barcode generator, OCR, label printing, thermal printbarcodes. The software also supports multi-language labels, allowing users to design labels for the international market. e printing of labels, TechnoRiverStudio is also capable of rendering them into a series of image files in JPG, PNG or TIFF format.